It is always confusing when you need to decide between Honda Activa and Suzuki Access, here is a good comparison between these two which helps you to decide, values are approximate and you need to cross check with company manuals for accuracy. In case of Honda Activa the engine is a 4 stroke with single cylinder with a displacement of 109cc while in case of Suzuki Access it has the same 4 stroke with single cylinder but here it is displacement of 124cc. Pickup in case of Honda Activa can be understood as by it can cover 60 km in first 10.79 seconds and can give up to 53.5 kmpl as mileage. 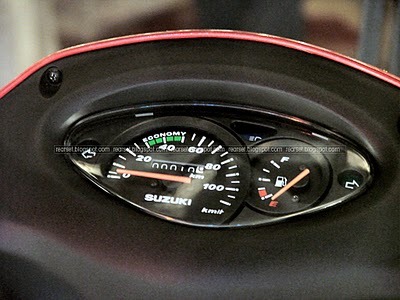 But in case of Suzuki Access, 60 km are covered in just 7 seconds with lesser mileage efficiency of 44.7 kmpl. The dimensions of Honda Activa are 1765x710x1147 mm and ground clearance is about 145 mm and if Suzuki Access is analyzed its dimensions are 1780x650x1125 mm with ground clearance of 160 mm. The tire size and brake size in case of both the bikes are same. The tire size in both bikes is of 90/100 while as breaks used are drums in both the cases. The seat size in case of Honda Activa is about 765mm while as if Suzuki Access is taken into consideration then its seat size is 780mm. 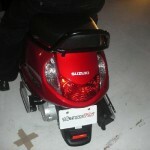 In case of Honda Activa size of fuel tank is quite smaller than the Suzuki Access’s one. 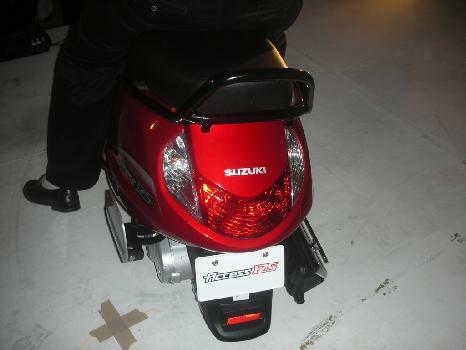 Suzuki Access offers 6.4(Litre) of fuel tank while the former offers only 5.3(Litre). Maintenance of both the bikes is pretty normal and easy. 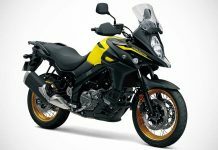 Honda Active will approximately cost Rs.41,097 while as Suzuki Access will cost about Rs.42,850 (both Ex-showroom prices, Delhi). The paint quality of Access 125 is top notch and very powerful compared to Honda Activa . 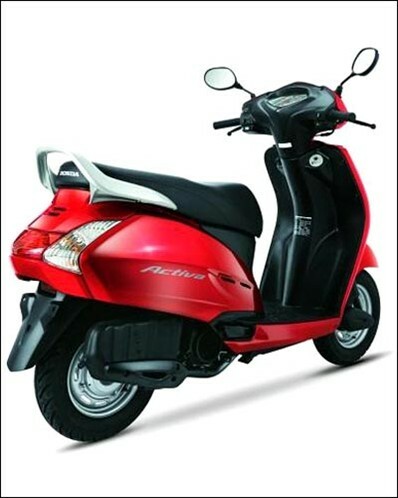 The overall design too is very simple in comparison to ultra reliable Honda Activa. 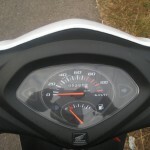 Honda Activa is much better in terms of reliability and overall quality as compared to other gearless scooters like Suzuki Access 125, TVS Wego and Kinetic SYM Flyte. After knowing about both the overall verdict of scooters you can now decide what you want, an efficient and a cheap scooter or a costly one with better features and attributes. And whatsoever you go for, please take some time to leave a comment before skipping the page. Fantastic comparo. Now i can say thank you! सर मुझे बाइक का रुपया कितना बतआएये होंडा एक्टिवा आल मॉडल , आई अम इन रांची jharkghand . Both are good but as compared to efficiency and average honda activa is better than suzuki acess. I love this site as it has gave me approximately everything about both these vehicles. Now i am able to decide which vehicle to buy. Honda Activa will be best option. Thanks. I have ride both.even activa has110cc it beats over access.access has less weight and so it is not comfirtable in speed more than 60km/hr.activa s glamourous than access so if u want to ride with cool sporty and comfirt go activa. Power: Access 8.58 bhp, Activa 8 bhp. Torque: Access 9.8 Nm, Activa is 8.8 Nm. Engine: Access 125cc. Activa 109 cc. Mileage: Access 41-46 kmpl, Activa 44-49 kmpl. Depends on riding style. Front shocks: Access telescopic, like bike. Activa has old-tech front shock. Weight: Access 115 kg with full petrol. Activa: Not given, same 115 kg. Size: Access is slim scooter. New Activa is very fat bulky scooter. Access has extra pickup, so it is easy to overtake and move from standstill. Eg., From signal stop, Access will move quicker. This is most noticeable with pillion. Thanks for the suggestion about the mistakes made in this post, we have updated this article please have a re-check. If you have any further clarification about an article please do let us now, You’re information is valuable to us. यह बहुत अची साईट हे पर क्या आप मुचे ये बता सकते हे की एक्सेस का ओं रोड प्रिसे कितना हे इन्क्लुडिंग इन्सुरांस प्लस सर ..??? Honda Activa is the best gearless scooter in India. It is not only comfortable, light weighted, rider friendly scooter but also stylish in looks. थिस इन्फ़ोर्मतिओन इस सोम्व्हत मोरे फवौरिंग एक्टिवा व्रोंग्ली! its good comparision, for users to buy. however i dont agree with the mileage they have given. its very difficult to chose the one. 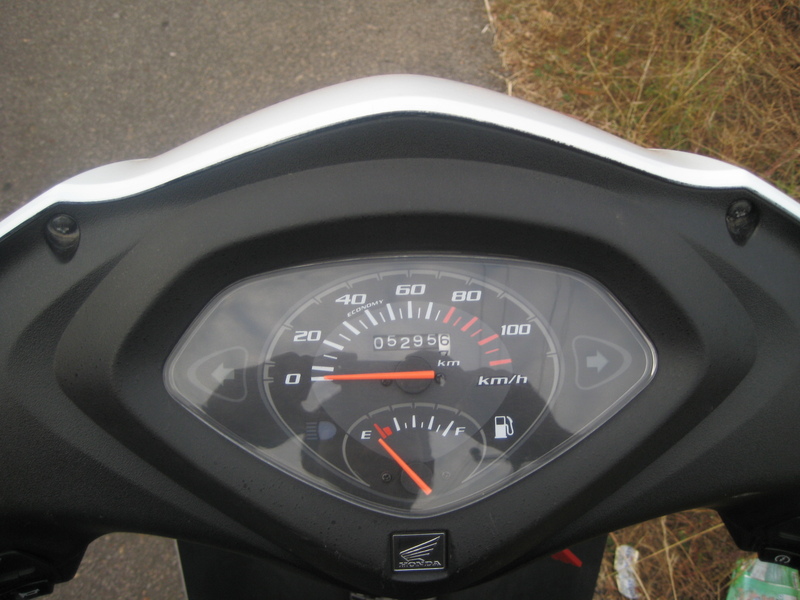 Activa is 110cc and weighs 111 kg with full tank 18 liters petrol. Access is 125cc and weighs 115 kg with full tank 20 liters petrol. If you compare power-to-weight ratio Access is better. Size, new Activa is bulky fat scooter, especially rear part. Access is slim scooter, easy to maneuver. Activa has old technology front shocks. Aviator has telescopic front shocks, that is why Aviator is 4k costlier. Access has telescopic front shocks. 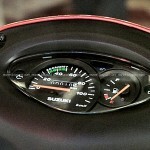 Activa does not give more than 50 kmpl mileage. Depending on riding style, the difference in mileage between Access and Activa is just 3-5 kmpl, but you get excellent initial pickup with Access even when riding doubles. I have been riding access for the past 3 years. my experience with access has so far been good. I have good mileage average 40-42 Kmpl. I have driven activa as well, But when it comes to riding and handling , access is much better, more pick up, good maneuvering. In terms of mileage, i don’t see much difference between the two. It actually depends upon individual on how he handles the vehicle and how one can get best mileage. For this one need to service their vehicle on time. and ride within given speed to get good mileage. aftr teading ds i will definitely go with access. as it hs d best pick up . can any 1 can tell me the top speed of access. Thanks for the comparison, it made my doubts clear and proved that Active is still the best with better mileage, better spare availability, cheaper, 7 yr old proved track record. Thanks very much for the information. Price listed in this article seems to be the old price. ……BUT BHARAT AUTO & ACIVA COMPANY Pl TeLL ME AHMADABAD PRICE whchis told 56802/!!!! in Dec 2011, A LOOt by Dealers!!! & that too if u want in 2 months , if u want in 5 months it is called 51873 !!!!!!!!!!!!!! Can I book directly & TAKE delivery frm ABAD ? Thanks for a useful comparison. Now a days every body is preffering fuel efficient vehicles.So I decided to go for Honda activa. Thanks once again. Go for Access. if u see compare Both pickup, controlling and braking are very good in access. And activa shocks wont work properly and braking system is a big fail. I am confused between both of these!!!! Activa front wheel design/manufacture problem. Rise and spin front wheel 50% vehicles the wheel is rubbing inside and stopping at particular point. the Honda mechanics are unable to rectify the problem.Cold starting problem.even in peek summer also it requires repeated attempts to start. which one is best aviator or suzuki access ? We recommend going for the Honda Aviator, if fuel-economy is your priority. Hi, Iam from shimla, and am planning to buy a scooter but confused between Aviator & Access. My requirements r Good Carrying Capacity for pillion rider + Power + Mileage. Please advice which is best..Price is not an issue. Suzuki Access fulfill’s your wish for pillion rider + Power, but Honda Aviator delivers better mileage. haii..i have read the comparison and all the reviews which added to more confusion(though the information is very good)..can someone kindly suggest which is really best among access and activa.. I really found his info very useful .. Tks ..
You did not say any thing about backs which is important for hand control backs. We are sorry, we didn’t get your question, can you state it clearly? 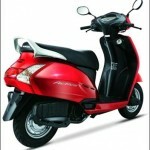 Honda activa is better due to durability and milage. good comparison, left for self decision. Nice. Activa is the best scooter in all the scooters . This piece of information is indeed helpful while taking a decision to buy a gearless 2-W. I shall go ahead with Honda Activa.